Come and relax on the deck with stunning water views. In the evening you can sit in the private 4 person spa pool and hear Kiwi, Morepork and Weka calling. Watch the start and end of the boat racing Wednesday, Friday and Sunday afternoons in summer while enjoying a drink on the deck! We are 7 minutes drive to Russell Township where you will find cafe's, restaurants and shops. Also close by are all the stunning beaches the Bay of Island has to offer where you can enjoy swimming, fishing, surfing, sunbathing or just a casual stroll. Within 3 minutes walk is the start of the scenic boardwalk/bushwalk to Russell or explore Okiato, the area that was once New Zealand's first capital. 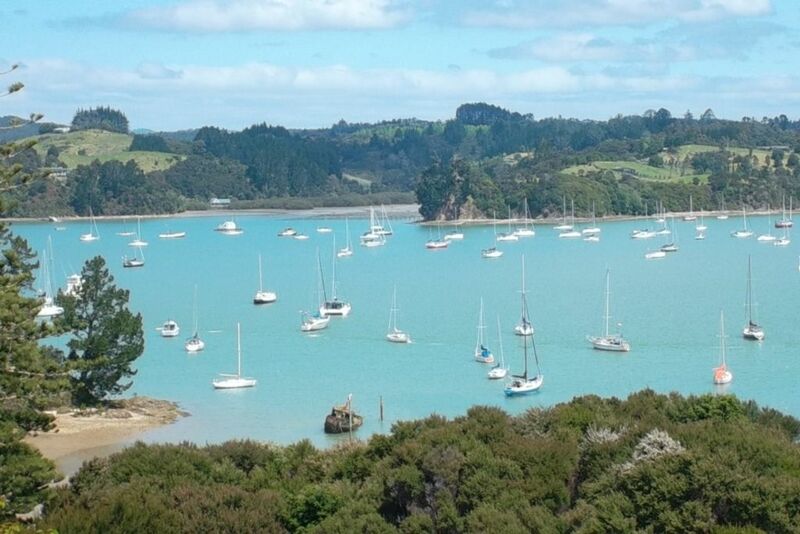 Paihia is a short drive away (8KM) via the Car Ferry. Within a 2min drive is the Omata Estate Vineyard. There are plenty of tourist attractions on offer in the area. The unit contains a folder with a good selection of brochures we are sure that you will find something that suits your taste. The unit is modern and comfortable for up to 4 people. The double glazed windows keep it warm in the cooler months. Good quality bedding, linen and towels are included with the cost. The Full sized kitchen has a full fridge/freezer and full oven and hob. All furniture including a 43" flat screen TV and DVD player for those rainy days. We have a small DVD selection available. ***Strickly "No Party's" as we have a very quiet neighbourhood. Private Spa and BBQ on private deck . Small selection of DVD's in the apartment. Small number of books and puzzles for children. Spa pool on private deck outside the sitting room. My girlfriend and I left the husbands and the kids to have a girls weekend. Jenny and Ken were so accommodating and the place was super comfortable. The spa was the cherry on the top to wind down each evening. We both highly recommend Kanuka Bay!!! Great location with wonderful hosts. Amazing location with a great view, topped off with a hot tub on the deck. The house is great, easy to get in and out, amazing water view from the deck, clean and comfortable. We so love the area. This was a perfect place to stay so we could enjoy it all. Jenny is sweet, as is her family. The house is comfortable and clean, and the harbor view is incredible.